Large Capacity Hydraulic Pump: The large capacity hydraulic pump (14.5 gpm) combined with high lift capacity (2,716 lbs) increases productivity. H-Shuttle: With the H-Shuttle option you can shift without using a clutch, reducing operator fatigue. Backhoes : KB2485: Fits KIOTI DK10 Series (DK4510/5010/5510), NX4510, NX5010, NX5510, NX6010, RX6620 tractors. Specifications may vary depending on tractor model and are subject to change without notification. 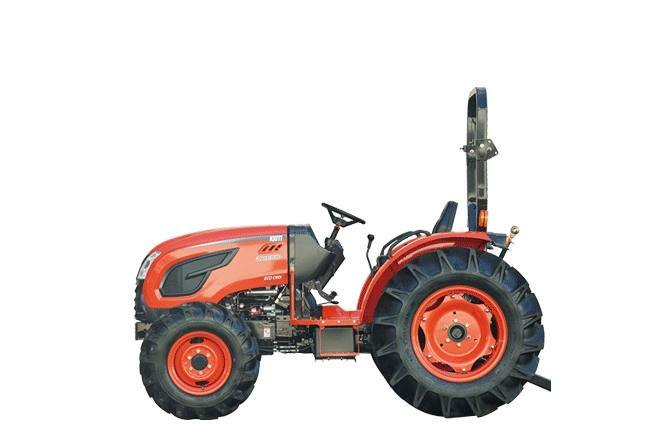 Tractors must be equipped with ROPS and seat belt that will provide greater safety. Front End Loaders : KL5520: Fits all DK10 Series Models and all DK10SE Series ROPS Models. (DK4510, DK4510HS, DK5010, DK5010HS, DK5510, DK5510HS, DK4210SE HST, DK4710SE HST, DK5310 HST, DK6010SE HST) The KIOTI KL5520 front end loader is specifically designed for the DK10 Series and ROPS models of the DK10SE Series. 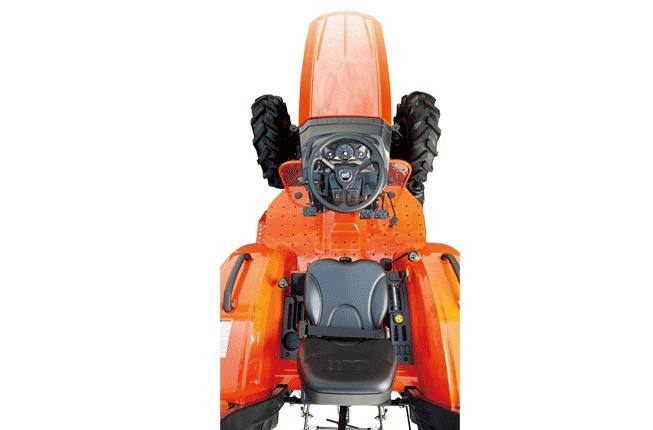 The KIOTI loader, with a built-in parking stand, is designed to be quickly and easily attached and detached. KL Series loaders utilize the tractor's hydraulic system, feature single-lever control with float and come with a bucket level indicator. *Specifications may vary with tractor model, front axle configurations, tire size option and type of attachment and are subject to change without notification. Front End Loaders : KL5510: Fits DK10 Series Models. 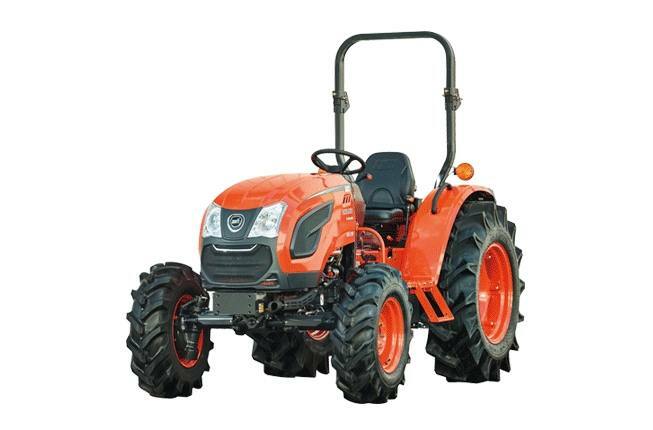 (DK4510, DK4510HS, DK5010, DK5010HS, DK5510, DK5510HS) The KIOTI KL5510 front end loader is specifically designed for the DK10 Series tractors, providing efficient performance with single lever joystick control. 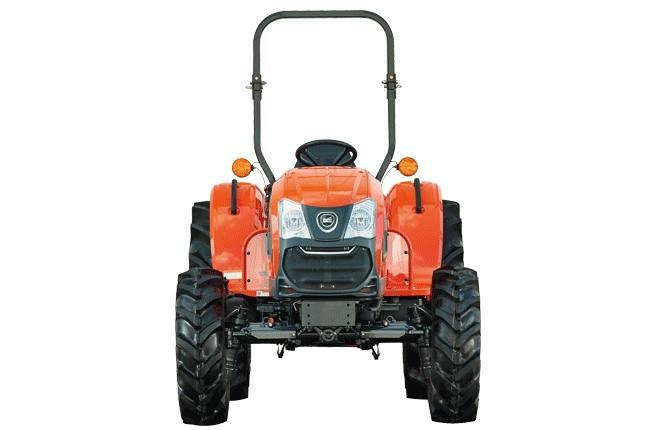 The KIOTI loader, with a built-in parking stand, is designed to be quickly and easily attached and detached. KL Series loaders utilize the tractor's hydraulic system, feature single-lever control with float and come with a bucket level indicator. 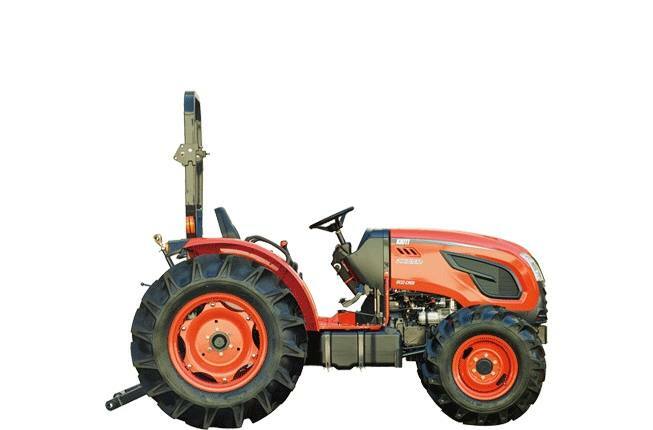 *Specifications may vary with tractor model, front axle configurations, tire size option and type of attachment and are subject to change without notification.